Rashford thumped home the VAR-awarded spot-kick in the 94th minute after Diogo Dalot's speculative shot struck Presnel Kimpembe on the arm. Ole Gunnar Solskjaer's visitors got the perfect start thanks to Romelu Lukaku's opportunist strike after two minutes, the Belgium striker latching on to Thilo Kehrer's blind backpass and finding the net. Unable to capitalise, PSG were punished when veteran goalkeeper Gianluigi Buffon spilled Rashford's long-range shot and Lukaku converted United's second. 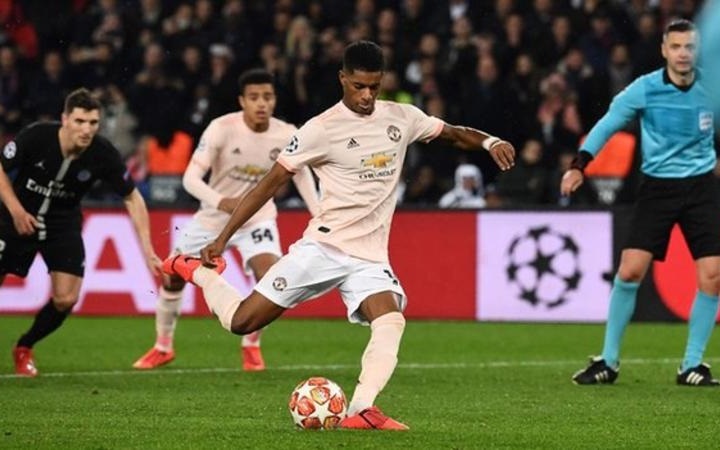 The game appeared to be petering out to its conclusion before Dalot fired the ball against the arm of the unfortunate Kimpembe, and after a long delay while the referee consulted his pitch-side monitor, Rashford's ice-cool penalty sealed a remarkable win.